Online gambling has become the popular entertainment from one side and the profitable business from the other side. 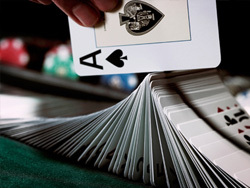 People enjoy spending time online and profiting from online casinos. 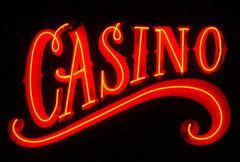 The protection and comfort of the gamblers as well as the online casinos is very important. Nevertheless, not all gamblers feel comfortable playing in online casinos. They do not believe they are secure enough. That is why some countries and regions provide licenses for casinos to operate online in order to add legitimacy to their businesses and comfort the online gamblers. Most of the online casino operators get a license through the online gambling jurisdiction. the independent non-profit online gambling organization, so called 'watchdog' organization. Such monitoring process protects both the gambler and the online casino interests as it ensures that the online casino operates fairly enough. Nevertheless, the regulatory framework for online gambling exists, gamblers should bear in mind that only few casino jurisdictions protect players' interests in a necessary meaningful way. As it was mentioned above, there are some countries that allow only the licensed online gambling. They provide licenses and permits for online operators which means that online gambling business in this countries is taken under strict control and is done in regulated manner. Whenever the applicant wants to be granted a license, it has to go through comprehensive checks done by the reputable online gaming jurisdiction. These checks are important only to those fair jurisdictions that pay attention to legitimacy, as there are many of those who grant the licenses without any control. During the investigation the applicant is required to provide the detailed description on its present and past activities with necessary information concerning financial documentation. In this way the gambling jurisdiction experts can verify the information and check the background. Examination of the game fairness is another important step on the way of granting the license. The games provided by the applicant should be analyzed, for example, whether the payout ratios have been correctly reported. The reputable gambling jurisdiction pays close attention to the financial statements of the applicant. In order to get a license it has to undergo the monthly independent audit. This check reveals whether all the winners have been paid and the payout system is transparent. However many countries provide the licensed online gambling, it seems that the common global regulation laws for this kind of business are a realistic prospect only for future.